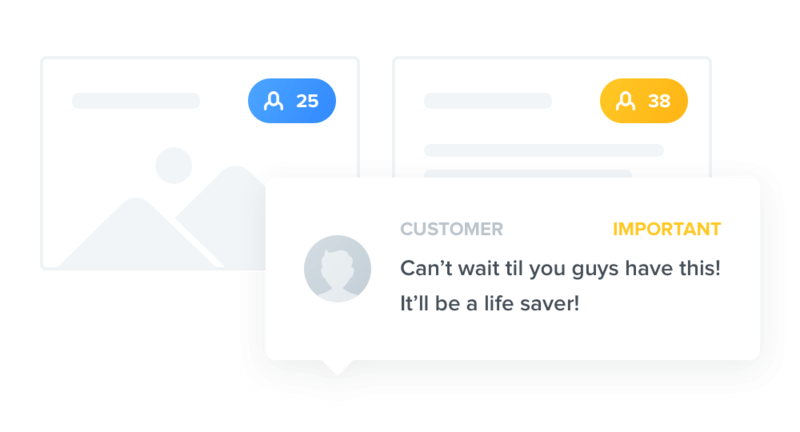 Collect user feedback at scale by inviting users to vote on ideas they like, or submit new feature ideas you might not have considered. Feature voting forums failed us. All the noise, duplicate requests, griping and complaints limited their value for collecting inputs from the broader user community. These deficits are addressed by productboard’s Portal, a public-facing interface curated by the product manager where users can help you guide your product forward. Ever feel like you put a ton of time, effort, and money coordinating user interviews, only for those findings to get lost in the mix? 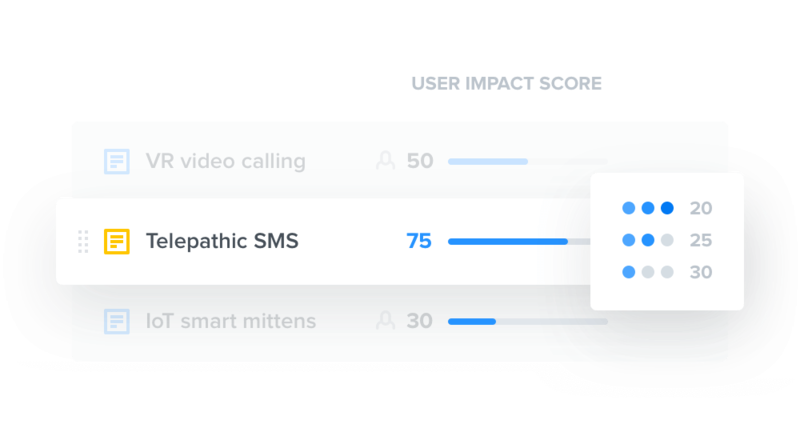 With productboard you can keep surfacing user insights whenever you reference a related feature idea. Product managers are used to working out of dev planning tools when prioritizing what to build next, but why settle for tools designed with engineers in mind? productboard helps you identify why you should go build any given feature over any other. Define your objectives, build initiatives, and pursue a coherent product strategy. Share your plans with colleagues from across the organization so everyone knows where the product is headed and appreciates the tough trade-offs that went into your prioritization decisions. You need fewer tools, not more. 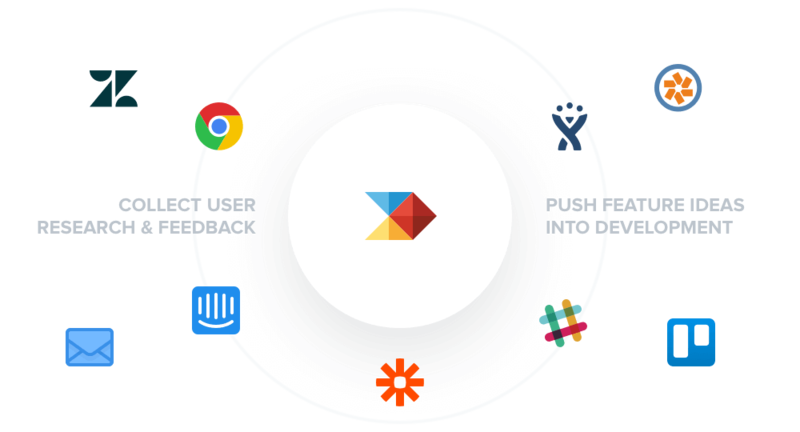 productboard helps you consolidate user inputs and feature ideas scattered across many systems. 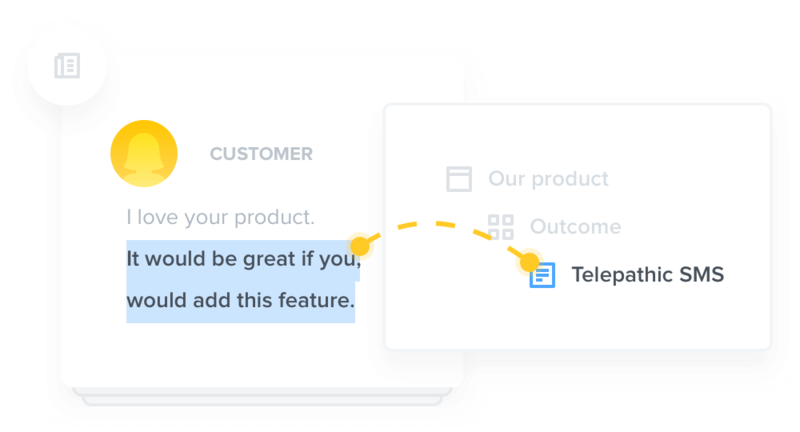 Integrate with popular customer touchpoints like Intercom and Zendesk, and hundreds of others via Zapier. 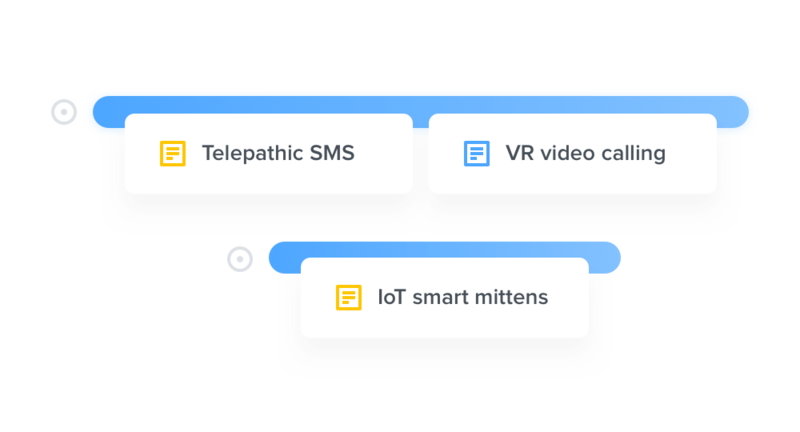 When you’re ready, push prioritized features straight into popular dev planning tools like JIRA, Trello, GitHub, and Pivotal Tracker.